After 10 years of wear, your roof should be given a thorough inspection. 20-40 years of life can be expected from a properly installed roof. Contact us for a free estimate at (818) 847-0470 or fill out our free estimate form. 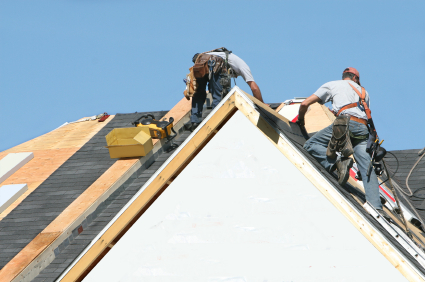 Generally, a new roof installation will cost between $7,000 and $15,000. Contact us for a more precise estimate at (818) 847-0470 or fill out our free estimate form. Building codes and manufacturers recommend using nails when installing shingle roofs. We also use nails for the base sheet on our flat roof installations. My roof has only 1 layer on it. Can I lay over the existing shingles? Yes, but it depends on the condition of your existing roof and how properly it was installed. If the existing layer was not laid straight or the shingles have begun to cup over time, your new layer may be bumpy or uneven. In addition, not tearing off the existing layer makes it impossible to check the roof deck for heat damage, rot or loose decking. The wood can be checked from the attic space for broken boards or water damage. It is impossible to check for loose decking, which is caused from the wood getting moist, swelling, then returning to normal position, loosing the nails. This can prevent the wood from laying flat and may short out the maximum durability of your new roof. 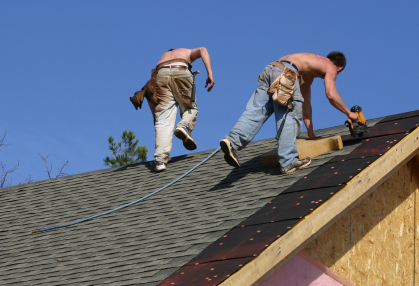 Shea Roofing, Inc. has all necessary Workers Compensation insurance policies. Do all of your products pass ASTM ratings and local codes? Yes of course! Certanteed, Elk and GAF all adhere strictly to all code and durability ratings. Here at Shea Roofing, Inc., we provide a completely turnkey service including estimate, installation, pulling permits and paying the taxes. Your only responsibility is to choose the color and style of your new roof. Should I worry about debris or rusty nails? NO! Shea Roofing, Inc. thoroughly cleans the site after completion. To ensure your absolute safety, we also carry magnetic rollers to pick up any debris that is not readily visible. Ventilation allows your home to breathe. Everyday household activities destroy a roof. Showers, laundry, dishwashing and cooking all generate moisture that can damage insulation rafters, wood deck, shingles and the underlayment of shingles. Winter moisture and summer heat can promote devastating problems to the wood and roofing materials. For maximum roof protection, good ventilation is the key to even airflow and prevents attic temperatures from reaching extremes. This creates a cooler and drier attic, increasing the life of your new roof. Contact us at (818) 847-0470 so we can ensure you have a superior ventilation system.